There's something about interviewing Kellyanne Conway that makes the "objective" anchors a little crazy. 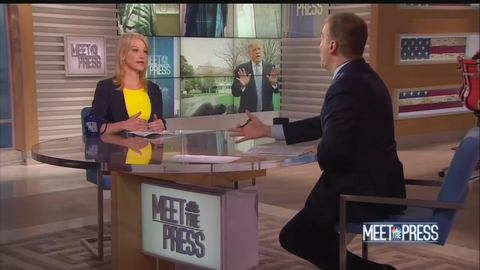 Taking a look at the official Meet the Press transcript yesterday suggests that Todd asked Conway a question -- or more likely, interjected/interrupted -- 56 times in a 15-minute interview. It often sounded more like a debate with a highly agitated Democrat than a "news" interview.